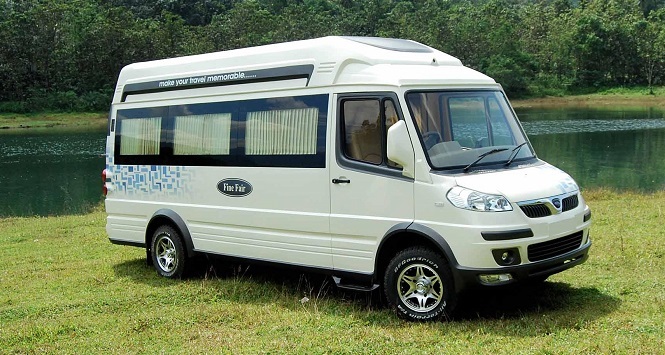 Chennaitrip offers tempo traveller rental plans on day basis such as “Half Day Rental” “One Day Rental”, “Weekly Rental”, “Fortnight Rental”, and “Monthly Rental” etc, which is applicably for all its vehicles. We have tempo traveller with different seating capacity ranging from 10 seater tempo traveller to 15 seater tempo traveller. All our vehicles such as tempo traveller, car, mini bus are well maintained and are in ready to go condition. Our tempo traveller is equipped with air conditioner, LCD TV and with pleasing interior’s which can ensure your guest comfort and convenience. In addition to tempo traveller, we also offer minibus rental and car rentals on day basis; hence fulfilling your entire travel requirement is at ease with Chennaitrip.